The megapixel wars of the many years ago have led to manufacturers settling down for one of three sensor resolutions; 12, 16 and 24 megapixels. The 12-megapixel resolution was considered the sweet spot between quality and quantity, with 16- and 24-megapixel offerings being more for those who needed more resolution. However, with all three image resolutions, there have been a number of shortcomings we have all come to accept and live with. Thankfully, the year 2019 will see many of them change. Huawei brought the megapixel race back to life, and now with Sony and Samsung also announcing their versions of 48-megapixel sensors, things are only about to get better. The Sony IMX586 and the Samsung ISOCELL GM1 sensors both sports 48-megapixel resolution, but more importantly, are much larger, measuring 1/2 inch diagonally. With an increase in megapixels and size, here are some of the benefits you can expect from these sensors right off the bat. One of the most obvious benefits of more resolution is that your camera captures more detail. While this is great if you want to capture the very texture of your subjects, but a more obvious advantage of the higher pixel count is the ability to digitally zoom into the frame. When you only have 12 million pixels to work with, you can’t do much in terms of zooming in, but when you have 48 million pixels, you can go quite far. Thanks to the resolution, you should also, theoretically, be able to capture very detail-rich images, but this last part will depend on the quality of the lens and the algorithms OEMs use to convert RAW sensor data into JPG files. We have seen the results from the Huawei Mate 20 Pro and the Huawei P20 Pro and there’s no denying the benefit of the large pixel count when it comes to wanting to zoom into a subject. One of the biggest gripes with smartphone cameras has been their inability to shoot decent quality images in low light. Normally, low light photos tend to suffer due to the small pixel pitch of smartphone sensors. 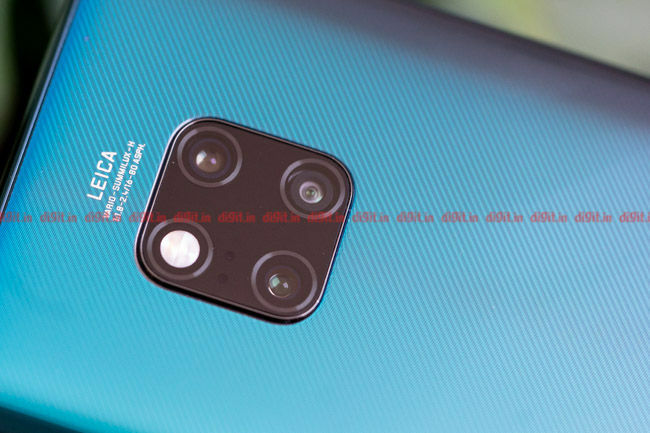 Now you may be thinking, that the 0.8-micron size of the individual pixels is smaller than the 1.4-micron pixels found on current 12MP sensors, so how is this new thing going to be better. The answer lies in Pixel Binning. Sony’s 48-megapixel sensor comes equipped with a Quad-Bayer sensor which allows for the combination of four adjacent pixels (found in a 2×2 grid) into one super pixel. We have a detailed explanation on how Pixel Binning works which you can read in case you’re interested. The effective pixel pitch of this new pixel is 1.6 microns, bigger than anything available currently on a sub-40MP sensor. The downside to this is that the resolution is reduced by a factor of 1/4, which should not be a big deal as you still get a 12-megapixel image that should be better than what you currently get. Why not a 12-megapixel large sensor? Of course, we could achieve better results by simply increasing the sensor size, while maintaining the same pixel count. For example, a 12-megapixel 1/2-inch sensor could also yield the same impressive image quality, but in doing so, you would lose the ability to zoom into the image. By increasing the pixel count and the sensor area, the effective result remains similar, but yields great flexibility with regards to the output you get, without compromising on the final image quality. Even with large sensors with massive megapixel counts coming in, we see that a few problems with smartphone cameras will continue to persist. Firstly, we don’t know how OEMs will implement pixel binning for video. This is going to be tricky as phones currently may not come with enough processing power to crunch through the massive amount of data generated during the shooting of a video. This is because the video or each frame of the video would have to be shot at the full 48-megapixel resolution and then down sampled to 4K or 1080p. Since this may not be possible, what you may end up with is a smartphone that utilizes its smaller-than-now pixels to record video. It would be interesting to see how OEMs mitigate this possibility. Can 48-megapixel sensors fix all that ails smartphone cameras? For years, smartphones have suffered at the hands of small sensors. With users continuously asking for more from their smartphone cameras, the introduction of large format sensors with a significantly larger megapixel count could be considered one of the biggest upgrades in years. The last time smartphone photography got a boost this major was when Nokia brought optical image stabilization to the smartphone. Large sensors could eventually bring lenses with more focal lengths to the smartphone. We could also finally see improvement in aperture values for telephoto cameras. Either way you look at it, the new sensor format coupled with the megapixel count already has shown that it outperforms the current standard. We can only hope that OEMs use large format sensors in more smartphones going forward, and not just in flagships.